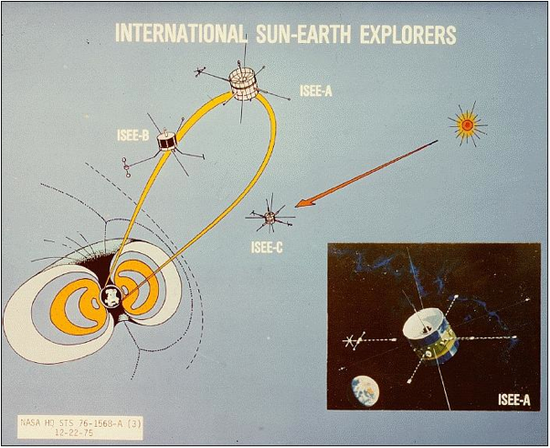 A long time ago (1978) in a galaxy…well, pretty close to us, NASA launched the ISEE-3 (International Sun/Earth Explorer 3) probe, sending it to space to study the magnetic field and solar winds of Earth. Since then, ISEE-3 has done NASA proud, accomplishing firsts such as flying through a comet’s tail. It collected data until 1999, when NASA decided it would party no more and switched it off. It’s been sleeping ever since, but if a crowdfunding project turns out to be successful, NASA may wake the ISEE-3 up as it passes near Earth later this year and put it back on the job. 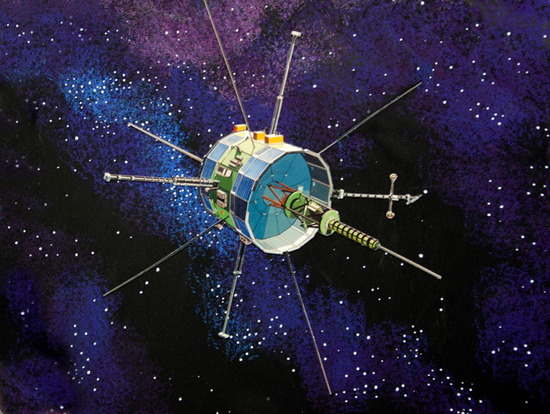 The ISEE-3 Reboot Project, which is sponsored by Space College, Skycorp, and SpaceRef, is currently running on RocketHub. It’s currently a third of the way to meeting its $125,000 goal, with 22 days left to fund the project. The idea is pretty simple, especially since a team has already been assembled, and they’ve got a radio telescope that can make contact with the probe. Scientists working on the project want to contact the probe, which is now generally known as the ICE (International Comet Explorer), fire it up, and get it back in orbit around the Earth where it can continue harvesting information and chasing comets. If it’s so simple, then why do they need to crowdfund? Well, we all know how strapped NASA is for cash. They don’t have the money to support this mission, even though they acknowledge that the information gathered by ISEE-3 could be valuable. And while the project is simple in concept, in actuality it is a bit more complicated. It’s not like we can just rig up a Speak & Spell to a pine tree to wake the thing up. Scientists have to find the original commands for the spacecraft and recreate them with software, given that the original hardware isn’t around anymore. Trying to use current technology to communicate with a 35-year-old probe is easier said than done. They also need to cover the operational costs of operating Morehead State University’s large dish antenna. The team is certainly up to the task — the project is led by SkyCorp and SpaceRef Interactive, which also led the Lunar Orbiter Image Recovery Project (LOIRP), and Space College Foundation is ready to coordinate outreach and education initiatives. Once contact is reestablished with the probe, an assessment of its condition will determine how many working instruments is has (12 of 13 were still functioning at the time it was shut off in 1999). One of the goals of the team is to create an app that allows the public to access data harvested by the probe, not unlike Planetary Resource’s ARKYD project. Time is running out — contact has to be made with ISEE-3 in the next month or so, as orbital maneuvering would have to occur by mid-June. Maybe I’m just biased because the space probe and I are the same age, but it seems silly to allow a functional spacecraft that’s already so close to Earth to simply languish out there, especially when it seems clear that ISEE-3 has plenty of life left.